A starting point for a lot of South East Asian travellers is Bangkok, a city like no other! It can be easy to get stuck in the tourist trap of hitting the big sights like the Grand Palace or Khao San Road. But what else is there to do? And more importantly what is there to do without spending a lot of money? I’ve been to Bangkok twice in the last year on a budget and these are things I have most enjoyed. 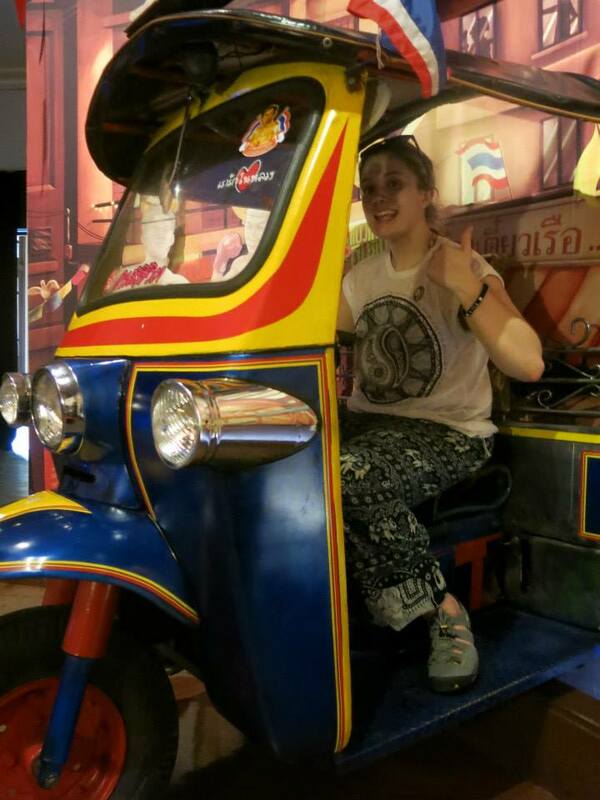 Here are my top 8 cheap, alternative things to do in Bangkok! 1. EAT – at Sukhumvit Soi 38! Thai food, was second only to Malay Food, in the 5 different countries I visited in South East Asia. The best place to go for an introduction into tasty, local street food in Bangkok in the evening is Sukhumvit Soi 38! Soi in Thai means ‘side street ‘and Sukhumvit Soi 38 is a side street that is closed off every evening from 5pm to 2am to become a great night time food market! Stalls line up each side of the street, not too many that you’re overwhelmed with choice but not too few that there is no choice! It’s a really great introduction to Thai cuisine and you are able to try some well know dishes such as Thai som tams (green papaya salads), Pad Thai, Chicken Rice, Mango sticky rice, BBQ meat and fish on sticks and satay. It’s also right next to Thuong Lo station so easy to get to. Details: Open 5pm – 2am, every day. Less stalls on Monday due to street cleaning. Closest station: Thuong Lo Price per dish: 40baht – 60 baht. The Siam museum is a really cute, interactive museum full of interesting material on Siam’s Traditions! Siam is what Thailand used to be and you get to learn about its history here along with religion, culture, wealth and lifestyle– it’s a great introduction! As with lots of places in South East Asia, they’ve made some good photo opportunities! Best of all it’s free entry after 4pm! It’s located near the Grand Palace and giant reclining Buddha so a good place to relax out of the crowds, and another highlight – air conditioning! Location: Sanam Chai Rd, Phra Borom Maha Ratchawang, Phra Nakhon, Bangkok 10200, Thailand Hours: 10.00 – 18.00 (Tuesday to Sunday) Free after 4pm. Ayutthaya is the old capital of Siam (Thailand) and definitely worth a visit to see the remains of the temples after the Burmese came, destroyed it and chopped all the statues’ heads off. They really had a thing for heads. The train journey to Ayutthaya takes just under 2 hours and costs 15baht for a third class ticket. 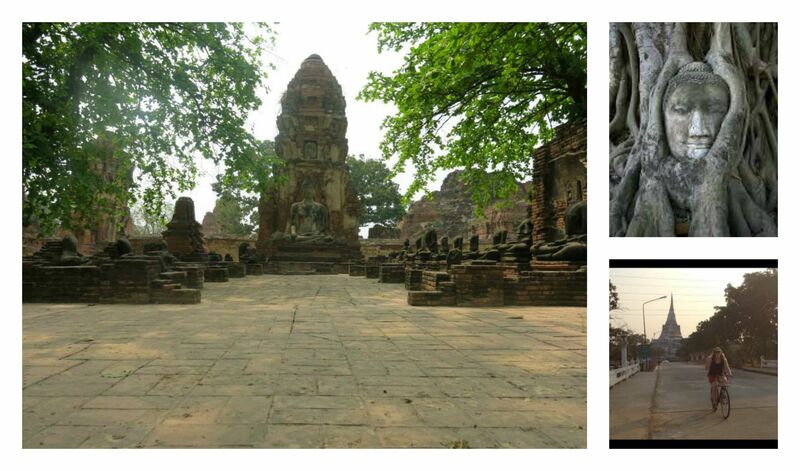 Once in Ayutthaya you can hire bicycles and spend your day cycling round the historical ruins and temples. It’s a great, easy day trip and something different to Bangkok. We actually made Ayutthaya a stop off location on our way to Chaing Mai, you can read more about that journey and what we did here: AYUTTHAYA – THE DAY WE CYCLED AROUND THE RUINS OF SIAM (THAILAND) Price: 15 Baht train ticket Depart from: Hua Lamphong Station, every hour. No, not actual Poo! The cooking course is run by Khun Saiyuud Diwong, affectionately known as Poo (short for “Chompoo” or rose apple). Poo is a long-time resident of Klong Toey, the largest slum in Bangkok. 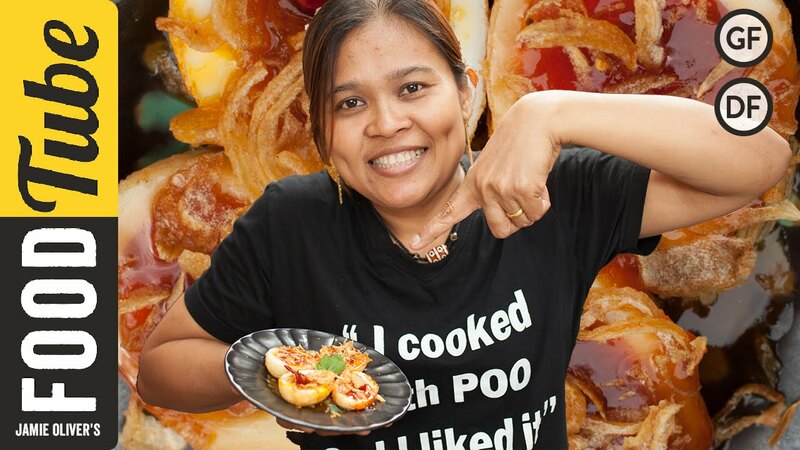 Poo grew up poor in the slums and has become a local icon by using what she learned about cooking as a child into a thriving business that supports the local community. Now I will fess up, I never got to cook with Poo because Poo is very popular, and she gets booked up way in advance. I love what she is trying to do, so if you can support her, learn to cook some tasty food and get fed, then I urge you to do so. Go on, cook with Poo. More info: http://www.cookingwithpoo.com/ If anyone has any suggestions on cheap, alternate things to do in Bangkok let me know. With any activity or place you visit in Bangkok or Thailand I urge you do some research. One of the things that shocked me in Thailand was how unethical things like Elephant Parks or Ping Pong shows are, so do some research beforehand, yeah? Previous Exploring NZ’s Rotorua on the Cheap!